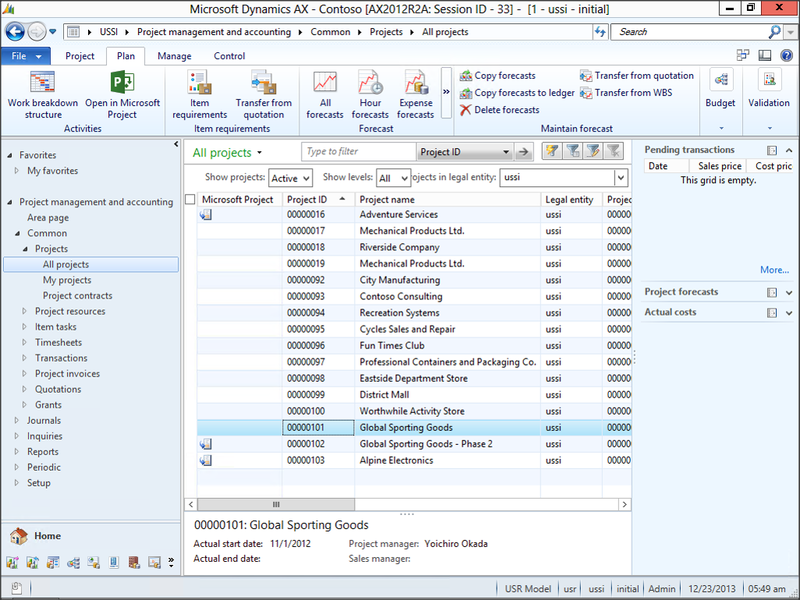 With the CU7 release of Dynamics AX, a new feature was added to the Projects area that allows you to link your projects with Microsoft Project so that you can update the work breakdown structures visually Microsoft Project, and then have all of the changes automatically update Dynamics AX. Updating project plans will never be a chore again. 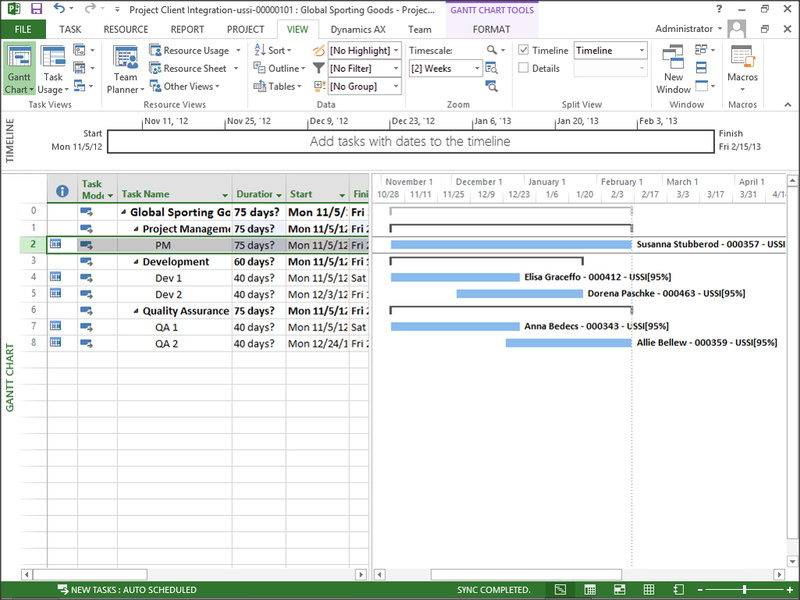 Select the project that you want to link and manage through Microsoft Project, and click on the Open in Microsoft Project button within the Activities group of the Plan ribbon bar. 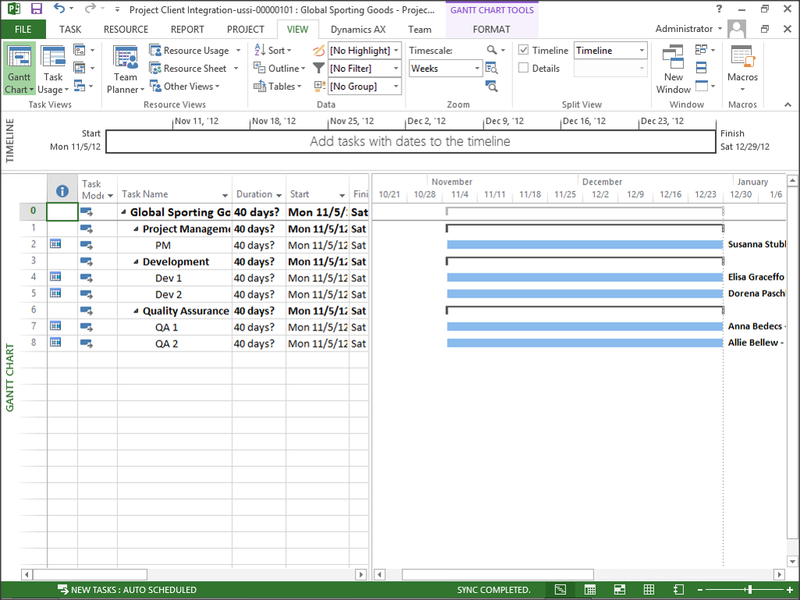 This will open up Microsoft Project with all of your work breakdown structure from the Dynamics AX project configured as a Microsoft Project project plan. 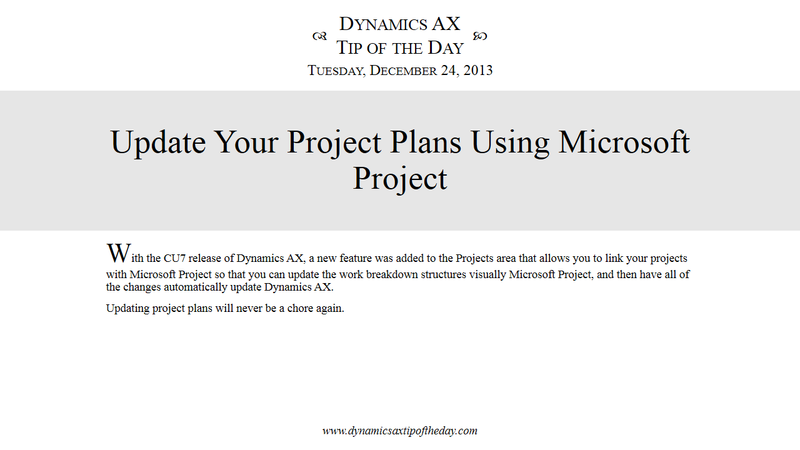 You can update all of the project details directly within Microsoft project, and when you have finished and want to update Dynamics AX, just close Microsoft Project. This will kick off an update that will save all of the changes back to Dynamics AX. If you look at the project within Dynamics AX, you will now see an icon to the left of the project information that shows that it has been linked with Microsoft Project. 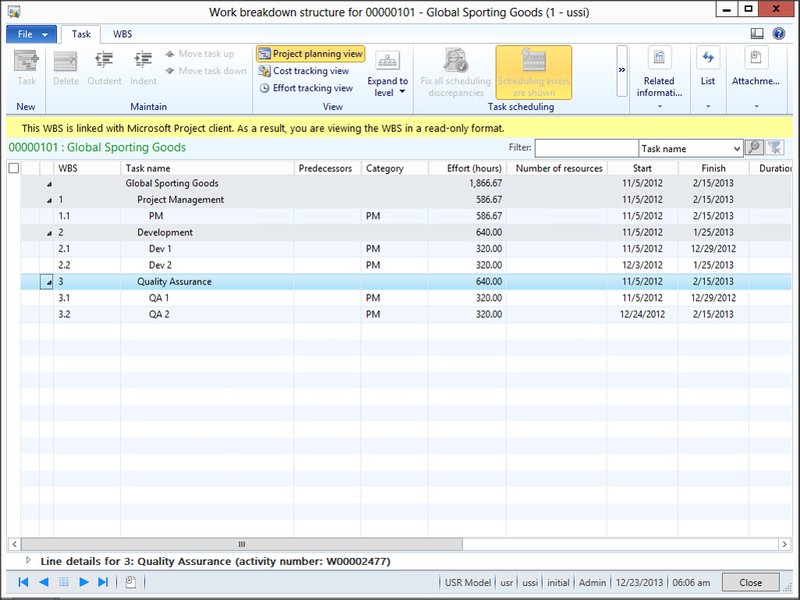 And if you look at the Work Breakdown Structure for the project, it will reflect the changes that you made within Microsoft Project.